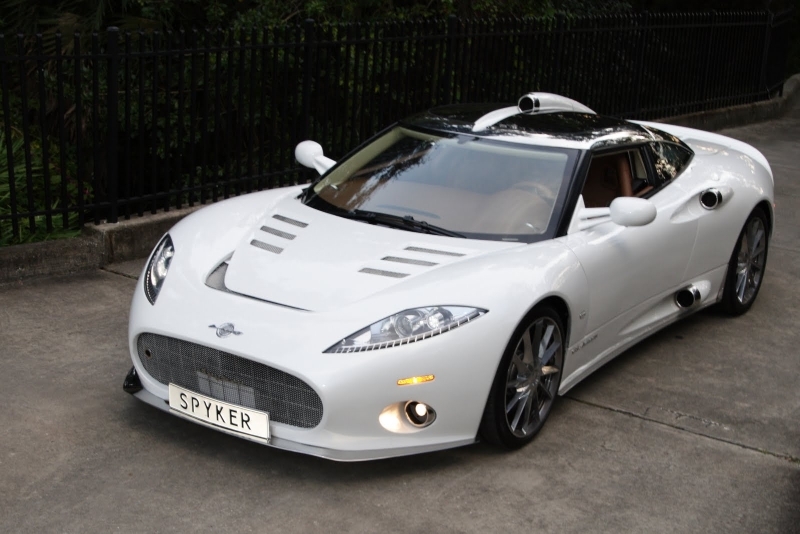 Spyker is thought to be a successor of Dutch truck and car manufacturer called Spijker (later was renamed as Spyker) but they have nothing in common besides the fact that present Spyker had bought the copyrights. During the First World War the company amalgamated with Dutch Aircraft Factory, an aircraft manufacturer – it explains the presence of a propeller on the emblem of the company. Nowadays company has nothing in common with aircrafts besides some design elements and speed of their exclusive sports cars. There are two models available for exclusive luxury sports car lovers – Spyker C8 Aileron and Spyker B6 Venator. Every single detail of these vehicles speaks for itself demonstrating grace, beauty and pride of its creators. There are so many things I want to focus on that it’s incredible. Each square foot of these vehicles is a masterpiece that can be discussed like a picture from a museum or gallery. Gorgeous LED headlights, scissor doors, aircraft canopy, turbine-shaped air scoops, aluminum body, V8 4.2L Engine with 400 horsepower, high-performance brakes, spaceframe chassis that weights 230kg (~500lbs) only, chronoswiss switches and dials, old-style dashboard, impressive sound system, Royal Hulshof leather is used to cover the interior of each Spyker vehicle. It is enough to take a look at Spyker cars to fall in love with them. 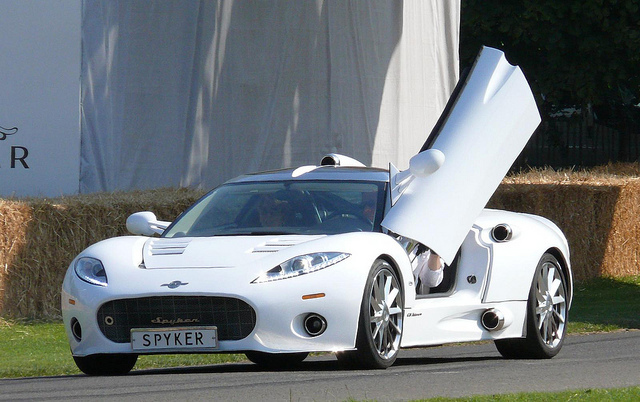 Owning a Spyker is rather similar to possessing a private jet that you can use to ‘fly’ around regular highways. These vehicles are made for true connoisseurs of sports cars. Spyker has its own unique style that doesn’t suit everyone but it surely won’t leave you indifferent to it. There are only two options – whether you’ll love it or hate it, which is very unlikely to happen. Doesn’t it feel amazing driving a brand new Spyker car of the trim and technical spec you wanted? When the interior is made of leather, exterior has exact the form you wanted and it painted your favorite color? It is the top model out of list of all models of that particular car brand, which you like the most. Let yourself imagine it. Feel the steering wheel, which is also covered with genuine leather, imagine music playing while you can hide the roof of your Chevrolet, Volkswagen, Spyker or any other convertible model of the brand you like driving 80mph. Feel the bass spreading around from ten top-quality speakers built-in your car. Can you imagine 300 something horsepower that engine of your 2014 year model coupe or sedan has? Can you see through your rare view mirror how you leave all the other cars behind? If you can do this then you can get the maximum out of Spyker list of models by year available at the website. Go ahead and pick any Spyker car models by year whether it is a used SUV or a brand new luxury sedan or convertible model made by your favorite brand.